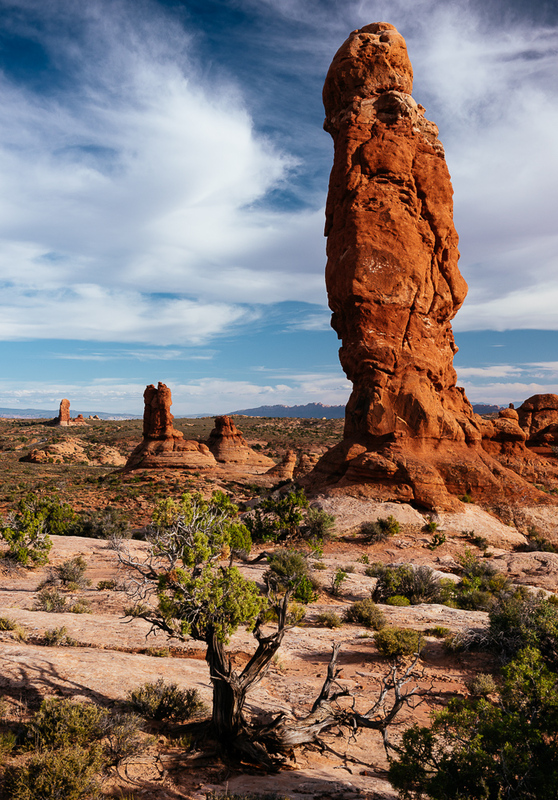 From Nevada it was a whole day’s driving to get to Arches National Park. 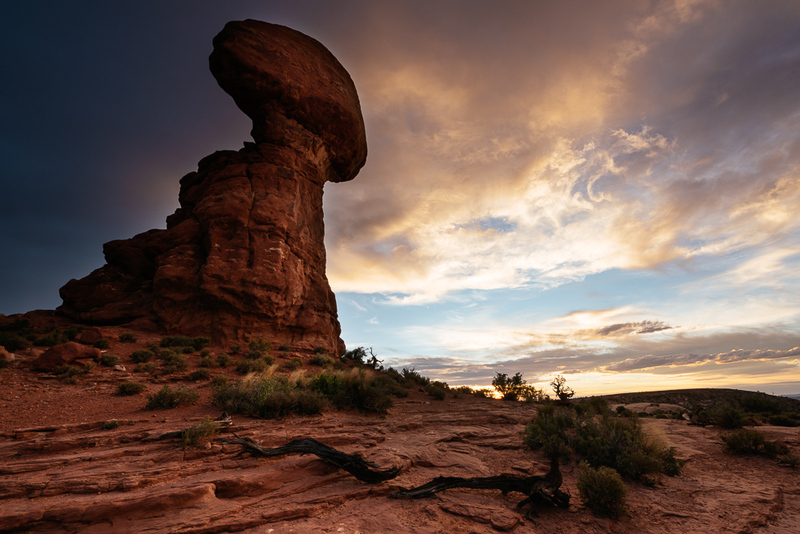 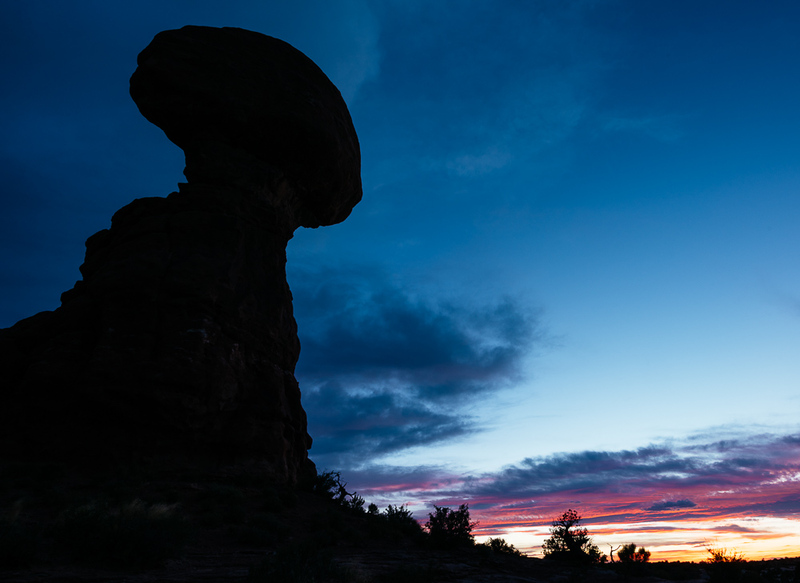 I arrived as the last golden light was breaking on Balanced Rock and rushed to set up and shoot something, knowing it was only going to last a minute or two. 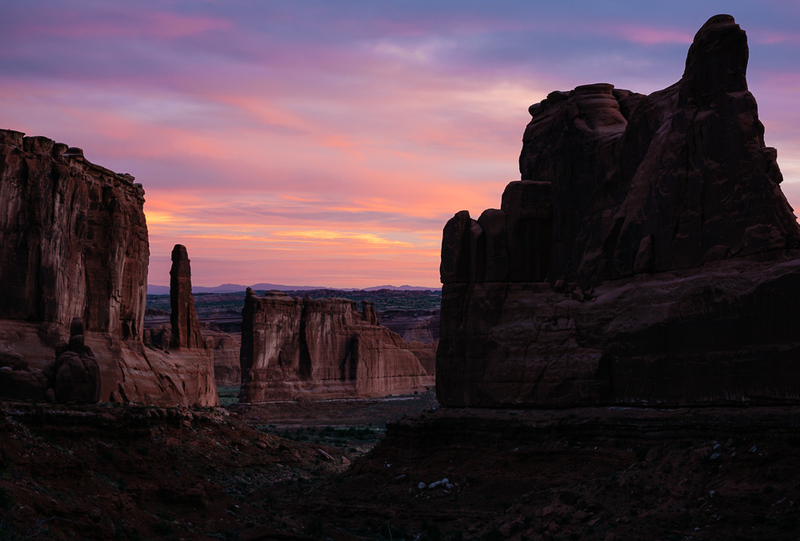 Afterwards feeling both glad to have got something shot but wishing I had driven faster that afternoon and had time to pick a spot. 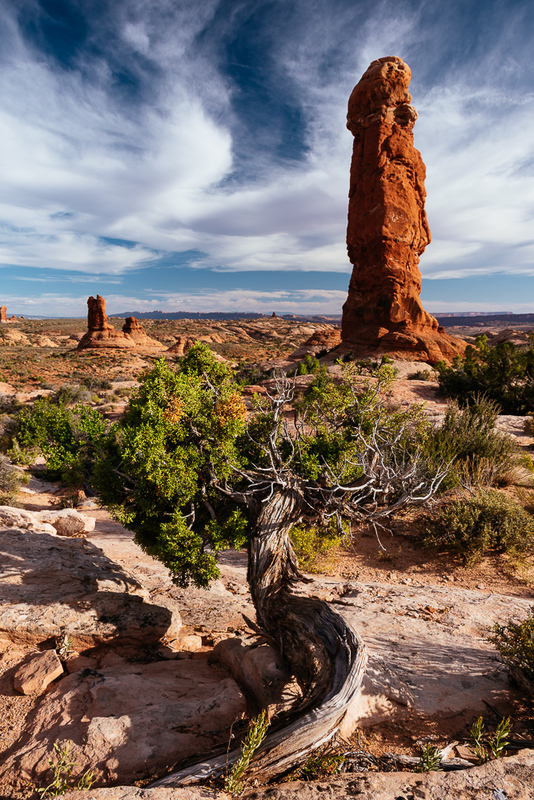 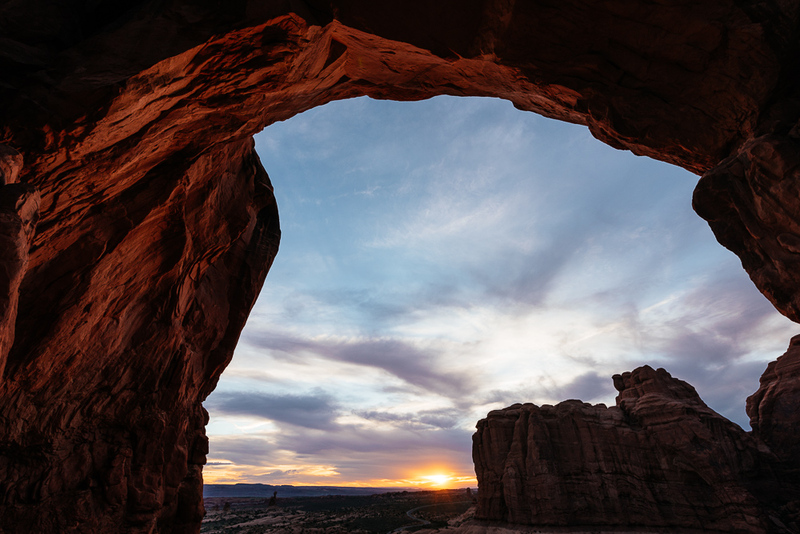 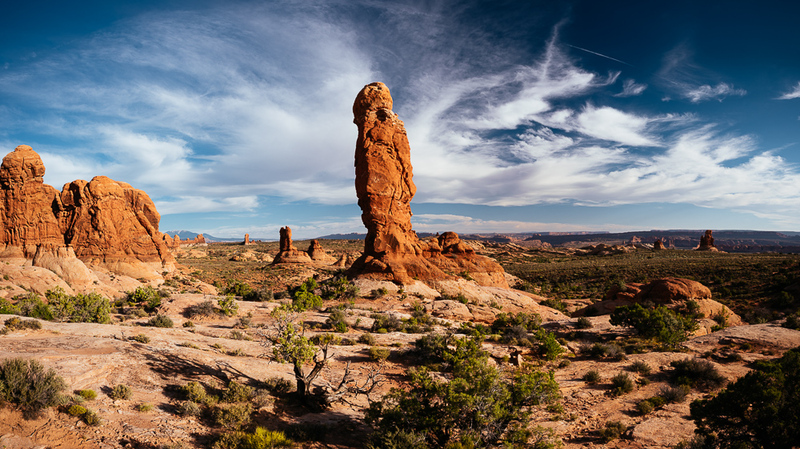 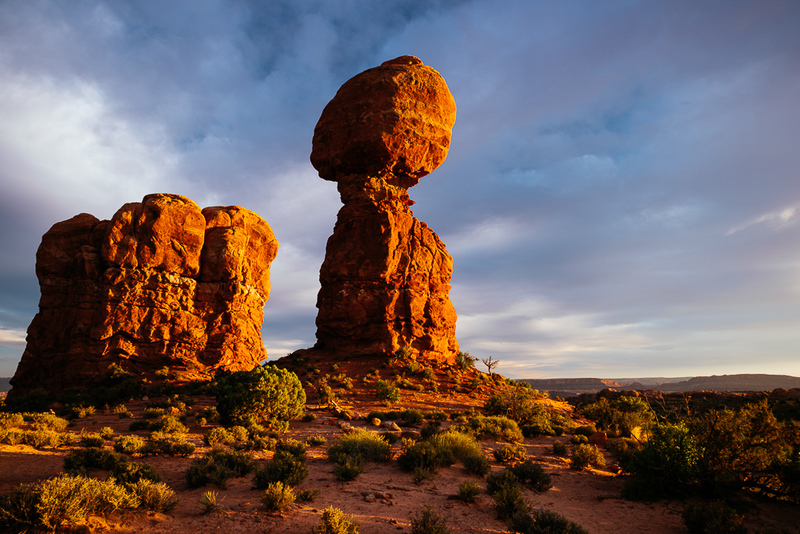 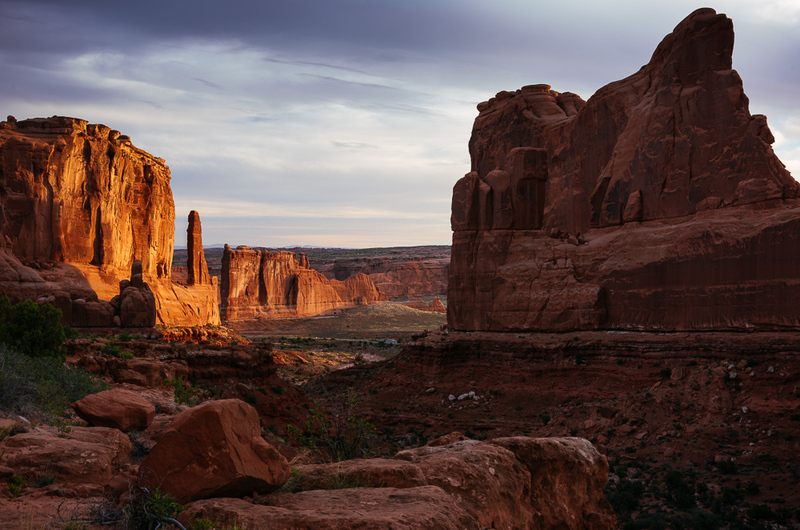 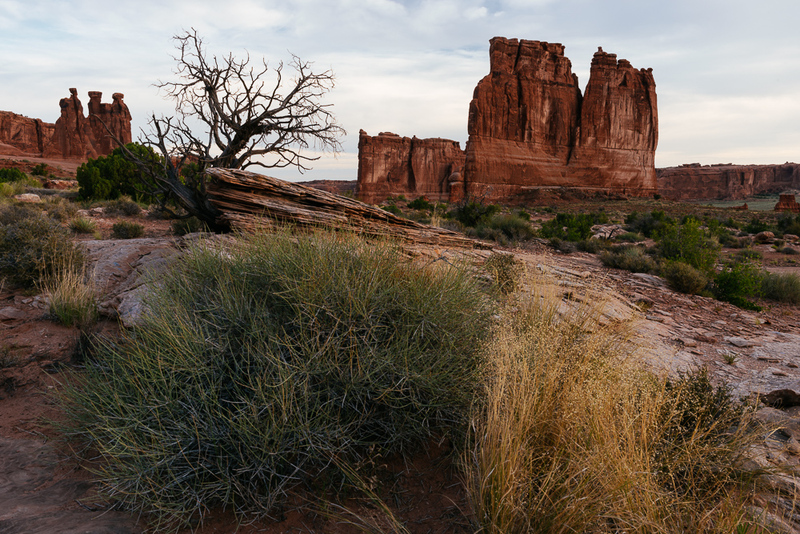 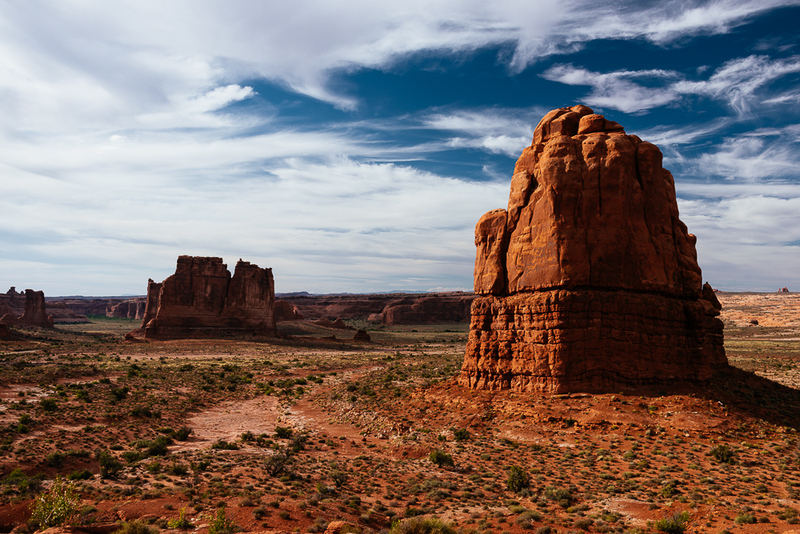 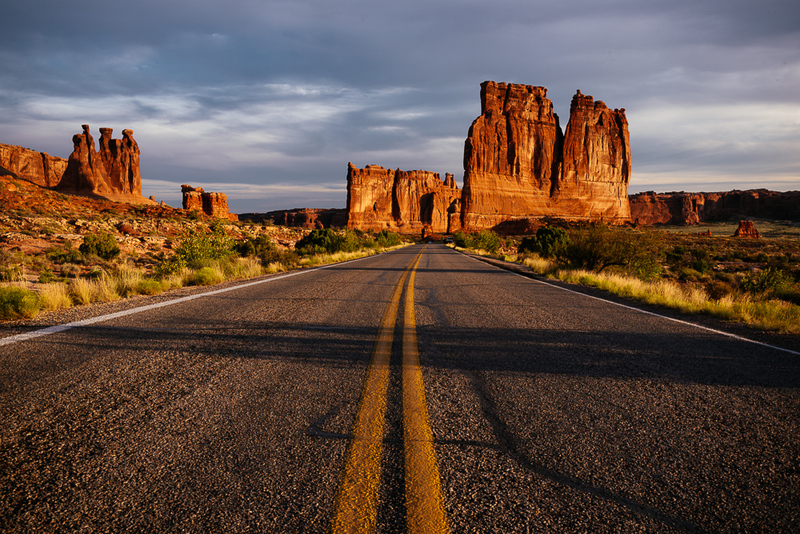 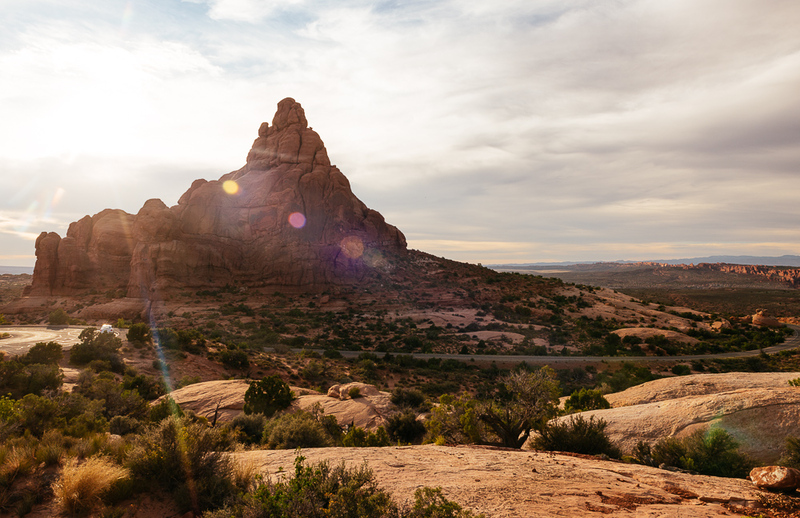 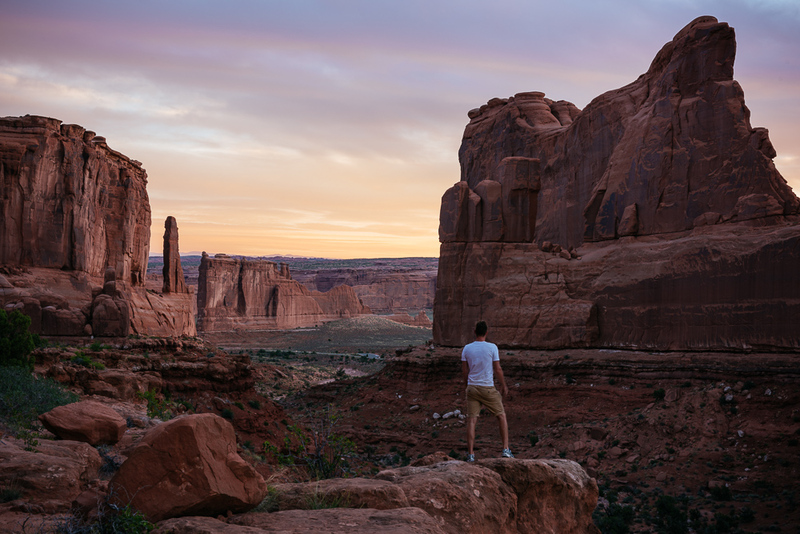 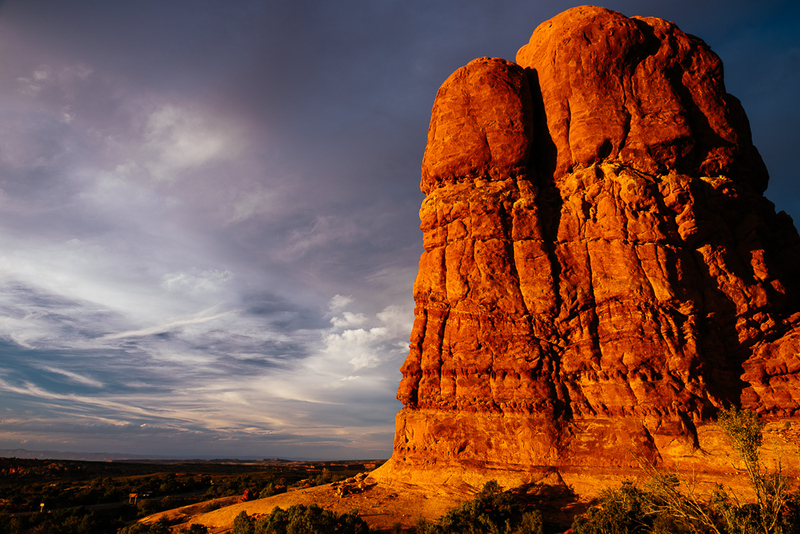 Arches is a beautiful area – with a landscape so unique, unlike anywhere else in the world.